Nuvi 1200 easily fits in a pocket and won’t stretch your wallet either, thanks to regional mapping and its slim design. This ultra-thin GPS announces streets by name and calculates a more fuel-efficient route with ecoRoute. 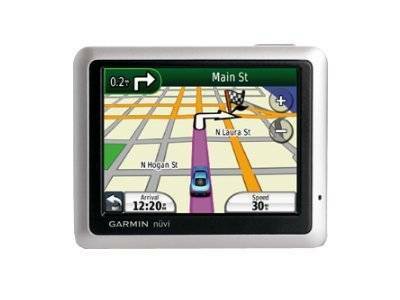 The widescreen 4.3-inch sleek Garmin nuvi 1200 automotive GPS receiver presents vibrant visuals. Navigate in style around town on foot or by car with this Garmin GPS Receiver featuring enhanced pedestrian navigation and downloadable cityXplorer maps. The smart voice prompts on Garmin navigator help you drive safe with turn-by-turn instructions. 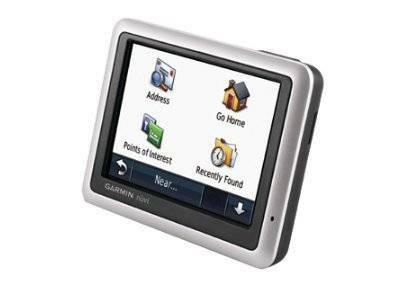 Find preloaded street maps, voices street names, world travel clock, currency converter, and more on the Garmin nuvi 1200. The lifetime Maps Guarantee on this Garmin navigator lets you download latest maps and information on routes and destinations. 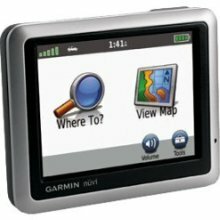 This Garmin GPS Receiver also features ecoRoute to help you choose the most fuel-efficient route towards your destination. The Garmin nuvi 1200 features Garmin Connect Photos that lets you download images of your destination, making it easy for you to locate them. Twenty-five percent slimmer than other nuvis, the 1200 is an ideal traveling company. nuvi 1200 easily fits in your pocket or purse, and its rechargeable Lithium-ion battery makes it convenient for navigation by car or foot. nuvi 1200′s intuitive interface greets you with two simple questions: “Where To?” and “View Map”. Touch the color screen to easily look up addresses and services and get voice-prompted, turn-by-turn directions that speak street names to your destination. With the 1200′s enhanced user interface, you can slide your finger to conveniently scroll between screens. Navigation is just the beginning. nuvi 1200 saves you gas and money with ecoRoute – a green feature that calculates the most fuel-efficient route, tracks fuel usage and more. The 1200 features Garmin Lock, an anti-theft feature.